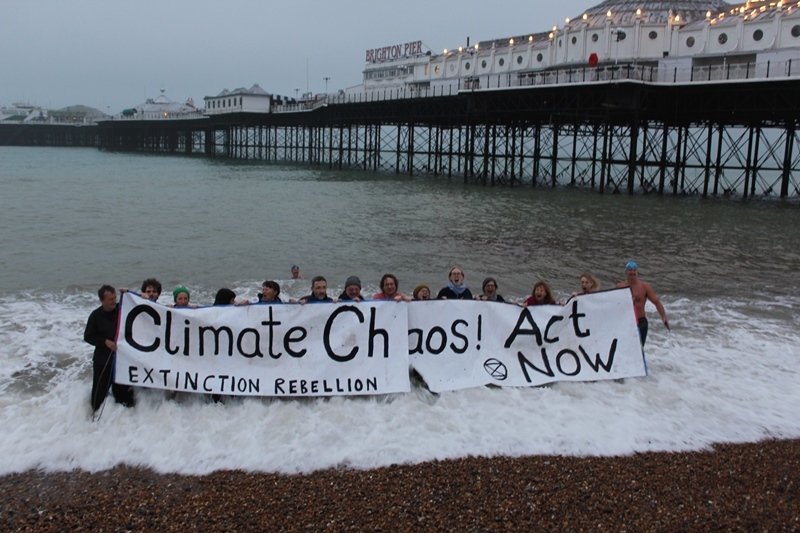 Green Councillors are calling for Brighton and Hove to become the latest council to declare a state of ‘climate emergency’ following a UN report that revealed there are just 12 years left to limit the damage of climate change. In a set of proposals being put to a vote at a meeting of Full Council this week, Greens say that Brighton and Hove City Council must play its part in protecting the local environment and go ‘carbon neutral’ by 2030 to have any chance of withstanding climate disaster. Greens are also urging the Council to boost the protection of species, habitats and ecosystems, after a global report found that up to 46% of animal and plant species could be wiped out from the planet by 2050. As part of the proposals, Green Councillors also want to see the Government invest more resources in climate change mitigation, climate change adaptation and also on the protection of our natural environment. Recognising the critical location of Brighton and Hove between the sea and the South Downs, Greens say more must be done to protect the city from the impact of the changing climate, building on the success of Bristol Greens who last month pushed Bristol Council to bring their carbon dioxide (CO2) emissions target forward by 20 years. Similar motions have since been passed by Green Councillors in Stroud District, the Forest of Dean and the London Assembly. Councillors from all parties will be asked to support the Brighton and Hove Greens ‘climate emergency’ proposals this Thursday, 13th December. Members of the Brighton branch of international movement ‘Extinction Rebellion,’ who hit the headlines for staging protests to highlight species extinction and climate breakdown, are expected to gather outside Hove Town Hall before the meeting to show their support for the Green proposals. IPCC report: A collective of worldwide UN scientists conducting research into the climate have warned that there are only 12 years within which global leaders can implement the changes necessary to prevent the impact of global temperature exceeding 1.5c. This Council notes with concern the recent Intergovernmental Panel on Climate Change (IPCC) report on global climate change impacts and the recent Intergovernmental Science-Policy Platform on Biodiversity and Ecosystem Services (IPBES) reports on global species and habitat loss. Council notes also that our coastal city on the edge of the South Downs is affected by these threats, which are projected to intensify. Request the Chief Executive to write to the Chancellor of the Exchequer stating the concern of the Council with respect to the above, the likely national impact on the economy and on the wellbeing of citizens, and requesting government funding be made available to implement swift appropriate actions in response. ‘Carbon Neutral’ – Carbon Neutral refers to taking action to reduce greenhouse gas emissions to zero – then offsetting the equivalent amount of any remaining emissions; e.g, through phasing out fossil fuel emissions, boosting energy efficiency and moving to fully renewable energy. In places like Oslo, measures have been taken to ban diesel cars, undertake ‘carbon capture’ plants, selling electric vehicles or hybrid cars, and improving home energy efficiency. The IPBES report was compiled by research conducted across three years by 550 scientists from more than 100 countries, utilising thousands of scientific articles, government sources and indigenous and local knowledge. “By 2050, 38-46% of animal and plant species could be wiped out from the planet. Of particular concern are Central and South America, sub-Saharan Africa and Asia, which are more vulnerable to soil impoverishment.